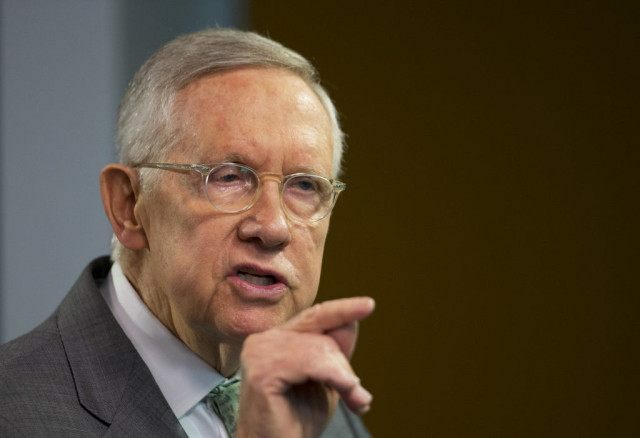 There are very few people in this world who I dislike as strongly as I dislike Senator Harry Reid. I believe him to be an egocentric, dishonest politician who has no respect for others. And I think that was perfectly characterized in the insanity of this statement that was sent out in regards to the protests taking place and the violence that has resulted from the election early last week. Which is particularly astounding when you consider a few things. One, President Obama, the one with real power to get through to these individuals, actually encouraged the protesters to continue speaking out in his speech this week. He had a chance to make a difference in this violence and dissonance, and he chose to encourage it. And yet, Senator Reid has the audacity to condemn Trump??? Come on. And second, these people are protesting Trump. Do you really believe they are going to listen to him? And if he is talking about nationalist and white-supremacist elitists….. Well, Donald Trump has actually made sure to speak out against them. “Of course. Senator Reid doesn’t think anyone should be committing hate crimes against anyone else – I don’t know how to be any clearer about that,” the Senator’s spokesperson emailed Breitbart News.